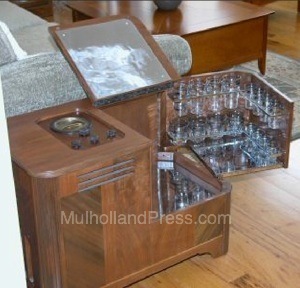 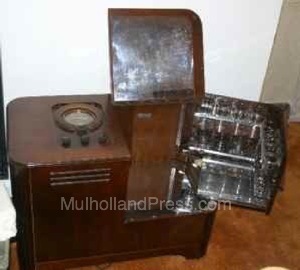 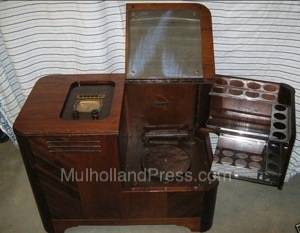 The Chairside model has been found in both a radio only version and a version with a record changer in the bottom of the bar cabinet (see photos). 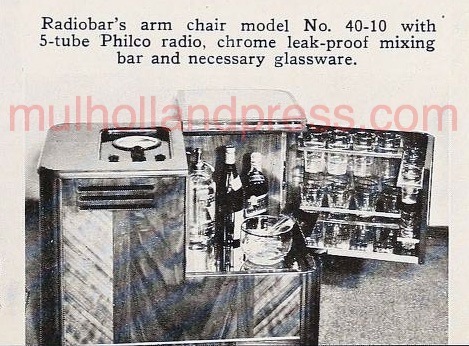 Examples of the chairside Radiobar have been found with the Philco 38-10 chassis (designated the Radiobar 40-10) and the Philco 39-8 chassis, both five tube designs. 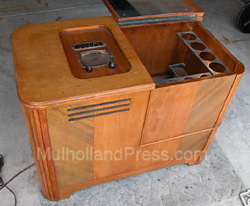 The supplied bar equipment is shown in the last picture.